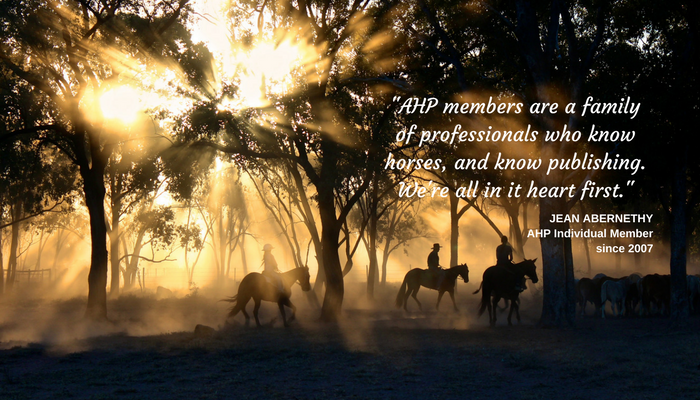 Individual membership is available to individuals who share an interest in the equine media industry and support the purposes and goals of AHP. Examples of Individual Members are freelance writers and photographers, advertising sales representatives, public relations agents, consultants, authors, illustrators, or any individual offering a service to the equine media. Membership is in individual’s personal name only and press release content requires information directly about the individual, not clients. All new members must complete application for approval. Membership application may be paid online by credit card or PayPal or submitted by email or mail. Annual Individual Member Dues is $145. Please download the application and submit to ahorsepubs@aol.com or mail to the address below.